“The old pattern reasserted itself, but it was no longer once every six months. The intervals grew shorter. The binges were longer. They were harder to get off. I wasn’t the type that could taper off. I had to stop cold. My last binge followed the previous one by two weeks. 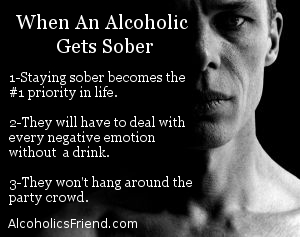 I had just come off a good one, and I went back on to the next one.” – Alcoholics Anonymous, 3rd Edition, 1976, “They Lost Nearly All,” Ch 3 (“Desperation Drinking”), p 514.